DNAdigest and Open Data team of the University of Cambridge cordially invite you to our joint workshop “Finding and accessing human genomic data for research”. How do you find and access human genomic data for your research? Access to raw experimental research data and data reuse is a common hurdle in scientific research. Despite the mounting requirements from funding agencies that the raw data is deposited as soon as (or even before) the paper is published, multiple factors often prevent data from being accessed and reused by other researchers. The situation with the human genomic data is even more dramatic, since, on the one hand, human genomic data is probably the most important data to share – it lies at the heart of efforts to combat major health issues such as cancer, genetic diseases, and genetic predispositions for complex diseases like heart disease and diabetes. On the other hand, since it is sensitive and personal information, it is often exempt from data sharing requirements. In this workshop, we will discuss the current challenges in data sharing, focusing especially on challenges faced by researchers studying cancer and genetic diseases. 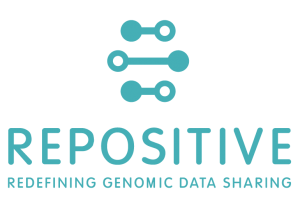 During the session we will present and demonstrate a number of current tools and resources for finding, accessing and sharing genomic data and discuss the best practices for using data to power your hypothesis-testing and maximising your research impact. From our experience and research on the topic, we know that many researchers rely on acquiring external data to validate their research findings, but it is usually a problem to find and access the right type of data. The goal of this workshop is to make researchers in genetics/genomics aware of the existing challenges with genomic data access and reuse and to present a number of tools and resources that researchers can use directly for simplifying their data access workflows. The workshop will provide valuable insights for all researchers working in the human genomics field, presenting plenty of tools and resources that attendees can apply directly in their daily workflows as well as presenting opportunities for attendees to set up research collaborations with fellow attendees based on common data interests. Researchers in biomedical research at any stage of their research career who use or plan to use external human genomic data in their research (i.e. data from other researchers to compare their results, statistically validate their hypotheses etc) or researchers who would like to know how to make their work more discoverable and impactful. Please find more details and register here. This event is sponsored by Repositive.